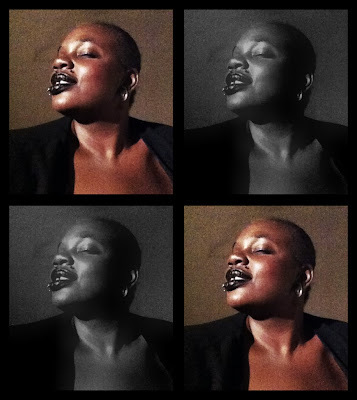 Maya Songbird: Black Girl, Black Lips..
Anyways, It felt good to switch up my lip color from Red to Black. Took me back to my teens when I went through an intense Goth phase. Please do not ever expect to see any of those photos. I hope. I call it Black Lips in Control! I have had more fun with these lips then my red ones. But I don't kiss and tell. My Black lips bought to you by *TADA* ~~~> "Black Radiance". Find the Best Black lips for you and I Would love to see and post your black lips. Please lets keep this black lip Epidemic going! Send me your Black lips! I want Them! Make sure to blow me a kiss!